Take Your Spartan Spirit To The Next Level. Spartans, check out these awesome new mobile wallpapers! The first wallpaper was made for the iPhone X and iPhone XS. The second wallpaper was created for the iPhone 6 plus, iPhone 7 plus, and iPhone 8 plus. The third wallpaper was created to fit the iPhone 6, iPhone 7, and iPhone 8. The fourth wallpaper was designed to fit most Android phones. You can choose an Apple image or one of your own photos to use as the wallpaper on your iPhone. In Settings, tap Wallpaper > Choose a New Wallpaper. Choose an image from Dynamic, Stills, Live, or your photos. The default wallpapers change with each iOS update. To choose a Live wallpaper or a Live Photo, you need an iPhone 6s or later. iPhone XR and iPhone SE don't support Live Wallpaper. Drag to move the image. Or pinch to zoom in and out, so the image fits the screen. Some images might not move and scale. You can choose Perspective, so the wallpaper moves as you tilt your screen. Or you can choose Still, so the wallpaper doesn't move. 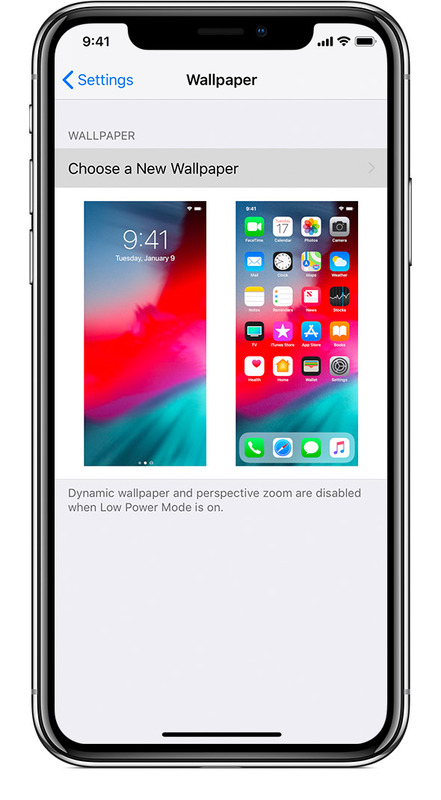 The Perspective display option isn't available when Reduce Motion is on or when Low Power Mode is on. 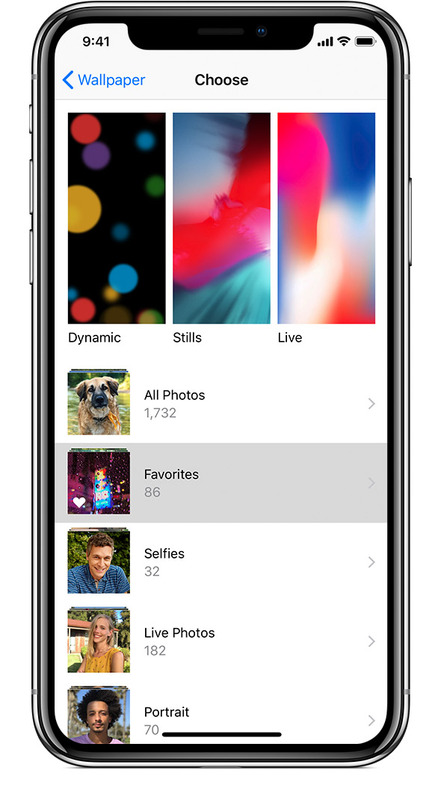 If you have iPhone 6s or later and you used a Live Photo, you can choose Live. 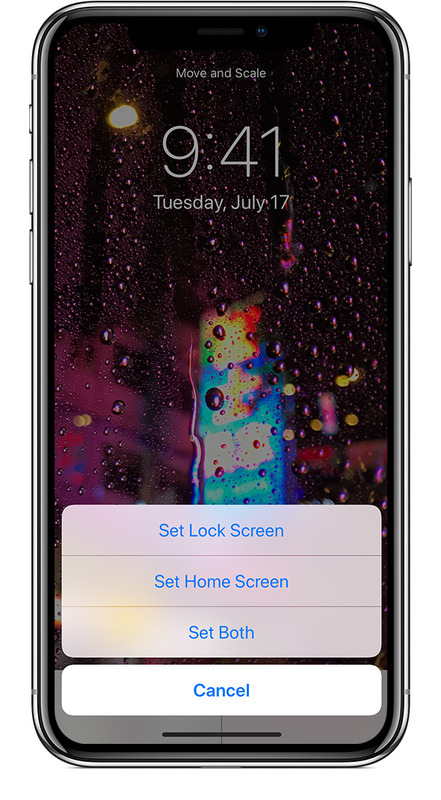 When you press firmly on the screen, the Lock screen wallpaper animates. 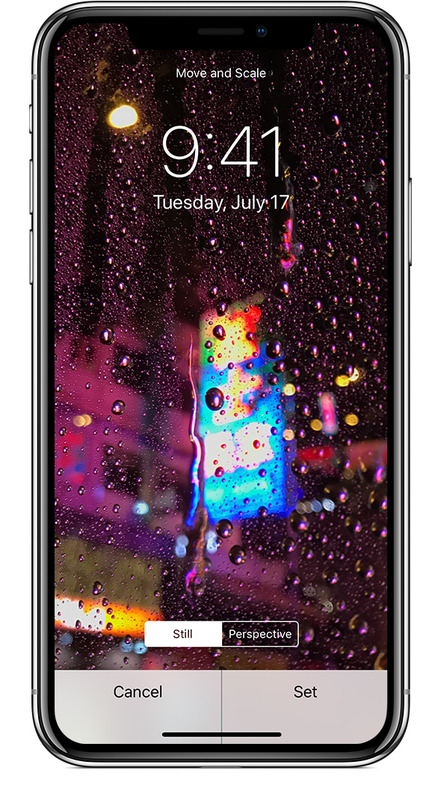 You need an iPhone 6s or later to use Live Photo and Live wallpaper. When you're done adjusting the image, tap Set. Or tap Cancel to start over. You can set the wallpaper as your Home screen, Lock screen, or both. The Home screen appears when your iPhone is unlocked. The Lock screen appears when you wake your iPhone. To see your new wallpaper, lock your iPhone or check the Home screen.